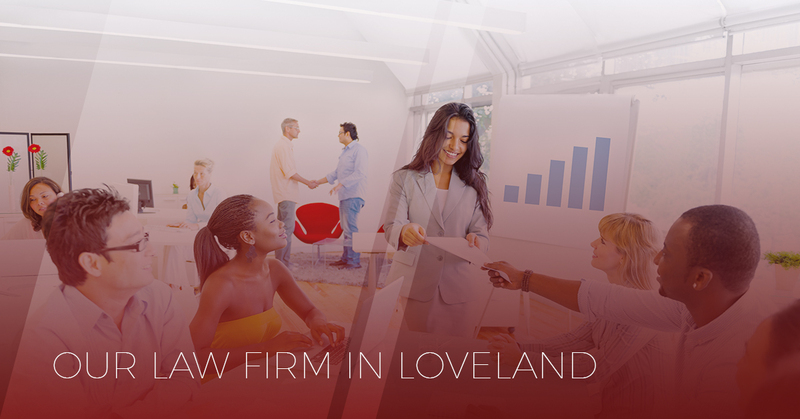 As a Colorado law firm, we pride ourselves on serving those who are in need of legal help around the Loveland and Northern Colorado region. We are not your average law firm because we base our aggressive representation on integrity, honesty, and a desire to do the best job possible for our clients. If you’re looking for a Top Rated Local® Law Firm who is well-versed in Colorado law, then reach out to one of our experienced lawyers today. Ores Law is a law firm that is experienced in unique elements of Colorado law. We focus on many different areas of practice and cater to those who live around the Northern Colorado area. As a Loveland based company, we serve those who are familiar with more personalized services, which is why we treat every client who comes to us with a customized approach. We don’t do a one-size-fits-all strategy, but instead, focus on learning about what you need and how our legal services can assist you. Our law firm is lead by an experienced and trusted lawyer who is knowledgeable in legal help. With over 30 years of experience, Nicolas H. Ores is an attorney that has personalized his legal services for each of the people who come to him. Additionally, our law firm is dedicated to each of the clients that come to us for our help. With a dedicated and a passion for Colorado law, our lawyers are able to create a strategy to help you out of your sticky situation or to strategize for different aspects of your life. Additionally, at Ores Law, we strive to embed integrity, experience, and dedication into an aggressive representation with a trusted lawyer who can provide legal assistance. Ores Law can represent you in many areas of legal practice. What you should know first is that Mr. Ores can practice in both state and federal courts in Colorado, which makes him a more versatile lawyer. Additionally, our areas of practice are listed below to give you a good idea about how we can provide a solid defense for your focus areas. When facing some of these legal situations, you may feel at a loss of what to do, but when a lawyer who has your best interests in mind, we’ll form a strategy that will allow you to push forward and determine the right course of action for you. If you’re located around the Northern Colorado area, then our law firm can help you obtain an aggressive representation. For directions, you can go to Where We’re Located to access a google map. If you’re interested in setting up a free consultation to help us help you, then fill out the form and we’ll contact you as soon as possible.